In a year celebrating the musical genius of Leonard Bernstein, KC Lyric Opera honored the legend with a musical theatre production of “West Side Story” that exceeds any other version to play in Kansas City for decades–and maybe ever. Departing from normal format, Lyric Opera brought Bernstein’s musical masterpiece to the Kauffman Center for the Performing Arts with incredible style, mastery, sets, costumes, dance, vocal performances, and the musical score only Bernstein could create. Who does not recognize so many of the musical numbers from the score that includes, “Maria,” “Tonight,” “Somewhere,” “America,” “I Feel Pretty,” along with some other lesser known numbers? For “West Side Story” Bernstein did the unthinkable–he messed with Shakespeare and still produced a riveting story of gang violence and prejudice in New York City. “Romeo and Juliet” updated and relocated in the crime ridden lower-income areas of the city’s west side pits the first generation immigrant Puerto Ricans against the second generation of other immigrant residents. Because of their citizenship, the second generation Americans possess better jobs and more opportunities, yet they fear the new wave from Puerto Ricans who may replace them by working for lesser wages. 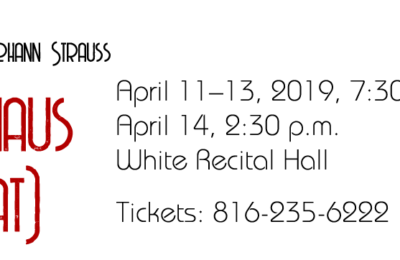 In Bernstein’s musical adaptation, young love, hopes, dreams, hatred, misplaced loyalty, and injustice mix in a witches caldron into a murky, dark, dramatic brew. 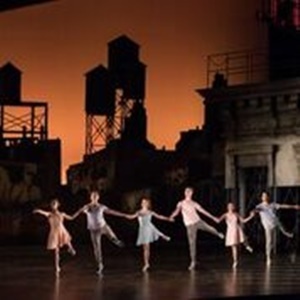 “West Side Story” displays Bernstein’s artful blend of ballet and modern dance with opera and musical theatre creates a compelling blend. When added to the tragic Shakespeare love story, the resting show amazes on so many levels. For the cast, definitely Maria and Tony carry the show. The passion and chemistry they possess gives “West Side Story” the sweltering heat the characters exude. Second leads, Anita and Bernardo give outstanding performances. The dancing of Gabrielle McClinton and DJ Petrosino are impressive every time on stage. They can steal any scene. Another character, Action does not get much individual attention is Act I, but watch out for him in Act II. Starting with his “Officer Krupke” number, he steals the scene and keeps eyes trained on him the balance of the show. Because the show bases on “Romeo and Juliet” everyone knows a tragic ending awaits. The final scenes still amaze the audience. The well known story continues to shock and reminds the audience that the show, written in the mid-1950s remains relevant today. Street wars in NYC at that time now occur in major cities now. Instead of just fighting for streets, now, it’s gangs and drugs. Instead of rocks, bricks, and knives, society faces guns and rolling gun battles. So, sad but true, Shakespeare’s 1500s tragedy continues to play out in 2018. “West Side Story” by the Lyric Opera stuns both at the box office and on stage. Still, this production should be on everyone’s “TO SEE” list. No weaknesses occur in this show. All aspects go beyond expectations. Chino – Brian Wallin, Consuelo – Amanda Castro, Pepe – Hezekiah Lasater, Francisca – Olivia Barbieri, Indio – Taylor Avazpour, Teresita – Joanna Latini, Luis – James Fenoglio, Estella – Carolina Villaraos, Anxious – Jawan Cliff-Morris, Nibbles – Tony Pulford; The Adults: Doc – J. Robert Paisley, Officer Krupke – Nathan Whitson, Lt. Schrank – TJ Lancaster, Glad Hand – Joseph Leppek. “West Side Story” Creative Team: Conductor, David Charles Abell; Production, Francesca Zambello; Associate Director, Eric Sean Fogel; Choreographer, Julio Monge; Set Designer, Peter J. Davison; Costume Designer, Jessica Jahn; Lighting Designer, Mark Mccullough; Sound Designer, Andrew Harper; Hair & Make-up Designer, David Bova; Chorus Master, Katherine Kozak; Assistant Conductor, Katherine Kozak; Rehearsal Pianist/keyboard, James Maverick; Props Master, Deb Morgan; Costume Design Assistant, Clair Hummel; Costume Coordinator, Mary Traylor; Hair & Make-up Assistant, Cassie Williams; Hair & Make up Crew, Jon Fulton Adams, Katie Wasicko; Assistant Lighting Designer, Mario Raymond; Figaro Simultext Operator, Sarah Zsohar; Assistant Director, Katrina Bachus; Stage Manager, Karl Anderson; Assistant Stage Managers, Becky Fryberger, Alec Rigdon. Production Assistant – Alayna Powell, Dance Captain – Amanda Castro, Head Scenic Artist – Gen Goering, Head Carpenter – Melvin Mcclenahan, Head Propsman – Stephen Cochran, Head Electrician – Artimio Wilson, Head Flyman – James Vinzant, Head Sound Engineer – Phil Rebel, Wardrobe Supervisor – Jan Toombs, Wardrobe Assistant – Desiree Baird Story. Music Director, Michael Stern; Associate Conductor – Jason Seber; Orchestra: First Violins – Sunho Kim, Chiafei Lin, Gregory Sandomirsky, Tomoko Iguchi, Filip Lazovski, Vladimir Rykov, Rachel Sandman, Alex Shum; Second Violins – Kristin Velicer, Stephanie Cathcart, Mary Garcia Grant, Rena Ishii, Francesca Manheim, Sarah Peters; Cellos – Susie Yang, John Eadie, Meredith McCook, Allen Probus; Double Basses – Evan Halloin, Richard Ryan; Flutes – Shannon Finney, Jessica Petrasek. Mary Shemon; Oboe & English Horn – Tim Daniels; Clarinets – Rebecca Tobin, John Klinghammer, Jane Carl; Bassoons – Thomas Dewitt; Saxophones – David Chael, Mark Cohick, Doug Talley; Horns – Alberto Suarez, Elizabeth Gray; Trumpets – Philip Clark, Brian Rood, Clint Ashlock; Trombones – Porter Wyatt Henderson, Adam Rainey; Timpani – Timothy Jepson; Percussion – Christopher McLaurin, Daniel Morris, Chihiro Shibayama, Elizabeth Van Wirt; Librarian – Elena Lence-Talley. 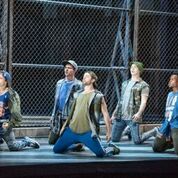 “West Side Story” continues in the Kauffman Center, presented by Kansas City Lyric Opera through Sept. 30. Check the website for specific performance dates and times. Performances are in the Kauffman Center for the Performing Arts. 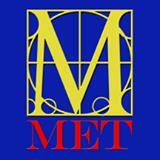 Tickets may be purchased through the KC Lyric Opera website.